In March 2015, French forward Nabil Fekir joined Olympique Lyon (France), whom he is still playing for. Nabil Fekir prefers to play with his left foot, as do 31% of his teammates. He is one year older than his team's average age, as he was born on 18.07.1993. At present, Olympique Lyon is in second place in UEFA Champions League (group F), in eleventh place in Int. Champions Cup, while in Ligue 1 (France) they are in third place. With a height of 1.73m, Nabil Fekir undercuts Olympique Lyon's mean tallness by 7. Until now, he has been present in 38 games. He wears the number 18 strip at Olympique Lyon. Before joining Olympique Lyon, Nabil Fekir was engaged in the squad of France. His best season was Ligue 1 14/15 (France), because in this year he had his highest success in terms of but forward passes and match presence. This season he scored twelve and assisted seven goals which is 17.3% of all of Olympique Lyon's goals in Ligue 1 18/19 (France). On average, he initialized 0.18 and hit the net 0.32 times per match this season which is a worse performance than last year's. Back then 0.56 goals and 0.2 assists per match have been achieved. On the whole, Nabil Fekir joined the pitch 46 times and left it 67 times after the start of the match. In the present term, he played less games until end. Considering he weighs around 167.55lb, Nabil Fekir is approximately 6lb heavier than the average player of Olympique Lyon. Ever since Nabil Fekir became a professional, he has been committed to none but two clubs. His longest stay in a team counts five years and 10 months in his current club. Concerning the latest matches, his club tied in UEFA Champions League, won in Int. Champions Cup plus won in Ligue 1. 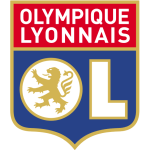 Apart from Nabil Fekir, Moussa Dembele, Memphis Depay, Lenny Pintor, Martin Terrier, Amine Gouiri, Reo Griffiths, Maxwel Cornet and Bertrand Traore are also forwards of Olympique Lyon. 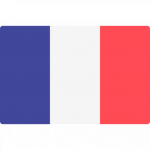 Further, he also operates for France. Throughout his time as professional football player, he was sanctioned with a card 36 times resulting in a mean value of 1.24 cards per play time. This season he was given seven yellow cards. Nabil Fekir's shortest spell with a club was five months in France (France). He played 202 matches in total and hindermost appeared five days ago. On average, he has participated in 7 matches per season.